See our pictures in the Photo Gallery! Check out the fun pictures in the Photo Gallery! Celebrating 100 Days of Being Irving STAR Learners! We are a 2018 A+ School of Excellence! Great quality, vivid colors, come get yours today! Every child at Irving will be engaged in a variety of meaningful and challenging instructional methods with continual assessment and review of data by a highly qualified staff. Every chance will be provided for grade level teams to plan curriculum, assignments and learning outcomes that are aligned with the state and district standards through collaborative and innovative efforts. Every day we will support Irving's educational/instructional model through our common vision of commitment to a partnership between administration, teachers, support staff, and parents. Classes will resume Monday, April 22nd. Join us at 6 pm for a fun evening welcoming all our new Kindergartners. Please RSVP in advance. Stay up to date in school and District events with our e-flyers! Click here to see what our students are up to! 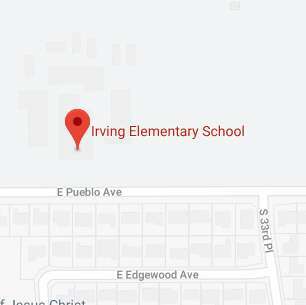 Irving Elementary supports the Mesa Public Schools vision of unprecedented excellence in education! 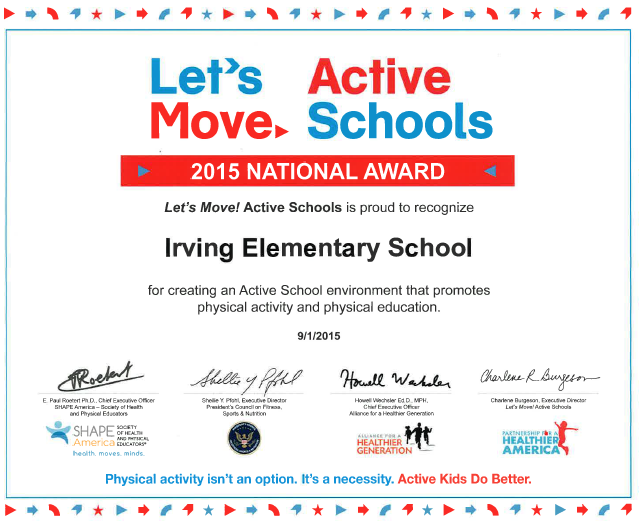 Thank you for your interest in Irving Elementary. 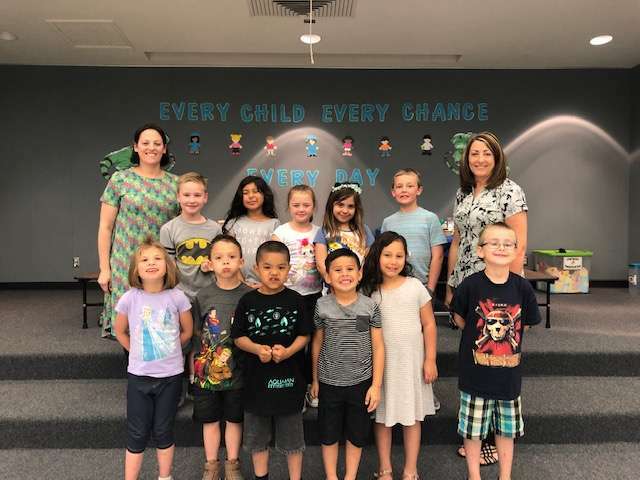 We are proud to be the home of over 560 Mesa students, ages Pre-K-6. 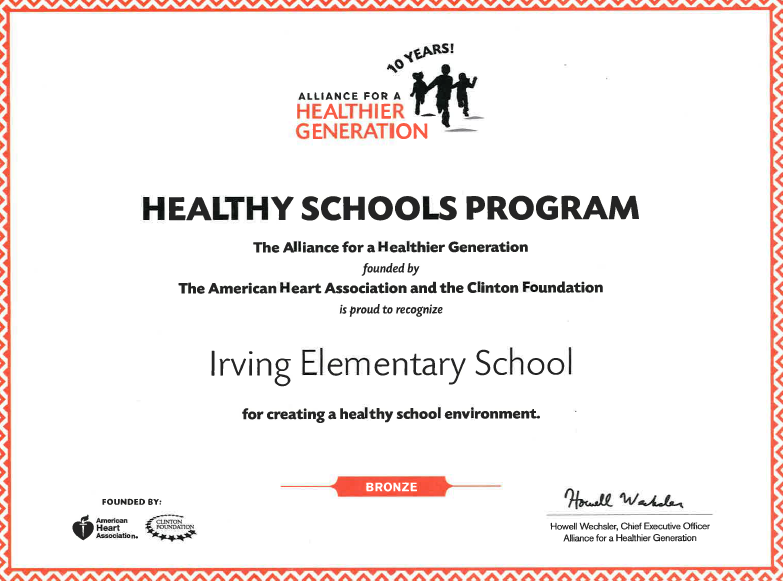 Here at Irving, every child is an individual with potential, and we strive each and every day to help them on their way towards academic success. Irving Elementary is also a pioneer in inclusive practices, in an effort to better address every student's needs. 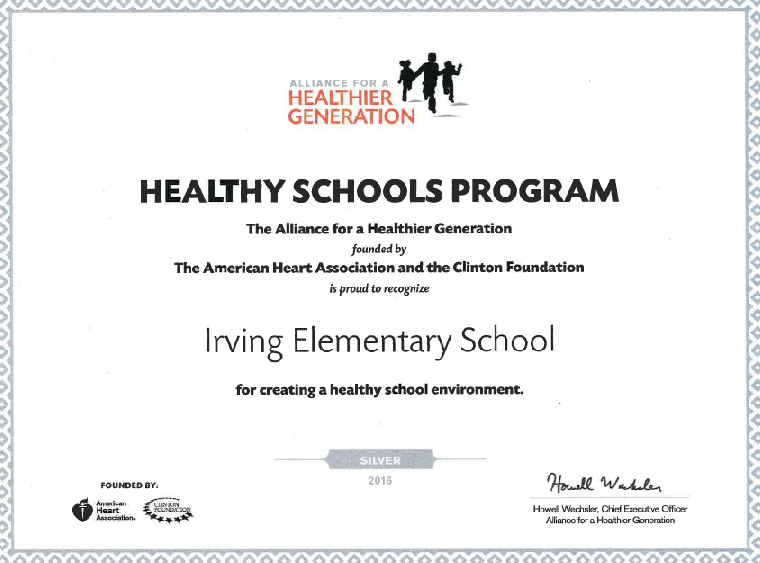 At Irving, academic excellence is expected, possible and attainable for all students! 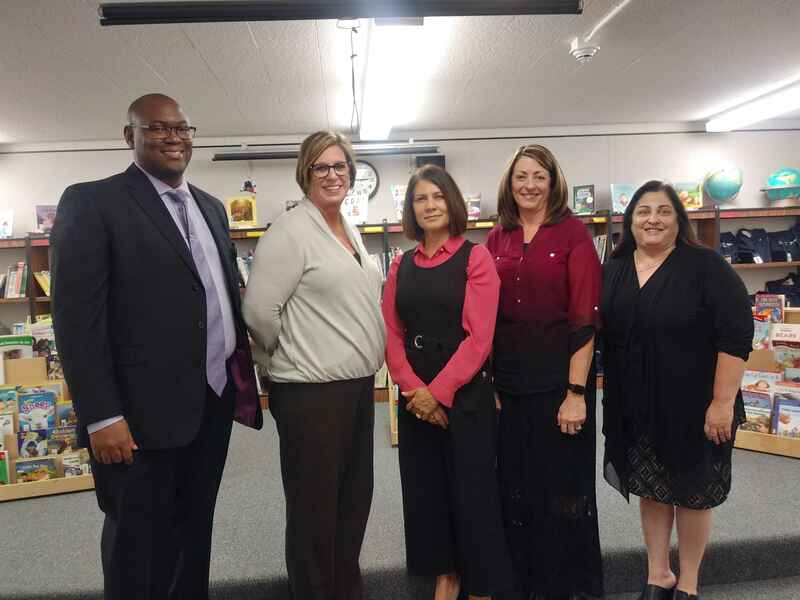 Inclusion teacher Melanie Edwards was honored by the Arizona TASH Organization with the Legacy "Pulling For All Kids" Award on Jan. 24, 2019. This award recognizes Melanie's efforts to promote inclusive practices and policies for students with disabilities. 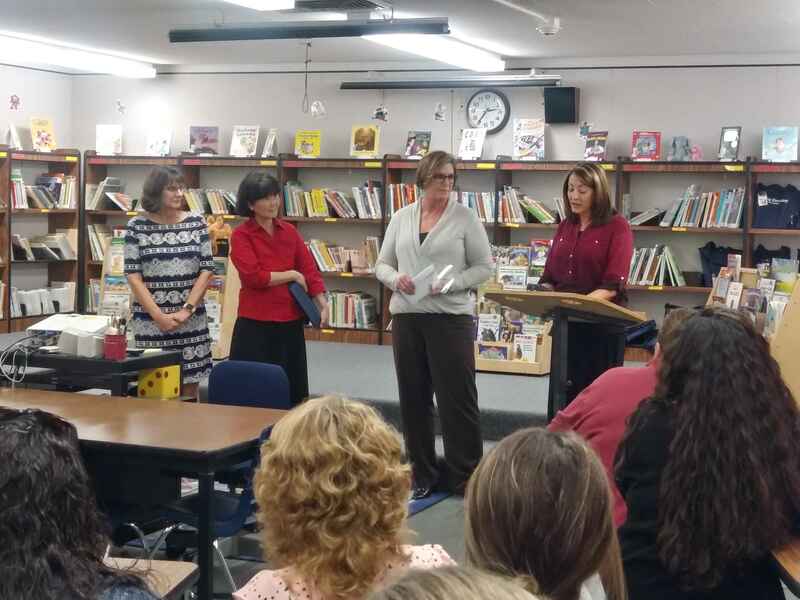 Irving Elementary recognizes Melanie Edwards as an asset to our Inclusion team and a life-long supporter of our vision to create an inclusive community. Click here to learn more about our District app!